Been since 1st December since I last did a manga review since the start of the new year have been reading a lot more manga, which is rare for me. I’m doing my read 50 manga this year challenge I set for myself and this one was apart of that is currently the 4th manga I have read so far. 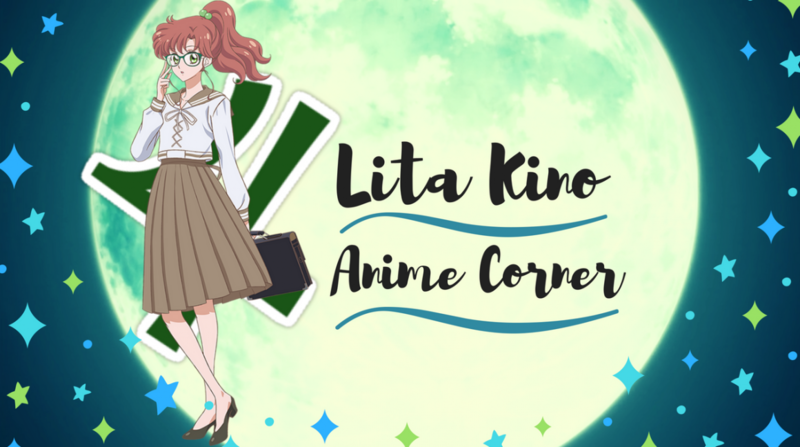 I found out about this cute Shoujo title through Instagram funnily enough where I follow this Shoujo page with suggesting various manga, as Lita Reviews the emotional Strobe Edge. Ninako is a girl with no experience when it comes to love, she is a beginner her eyes are set on heart throb Ren most popular guy in school. Already she confesses to Ren and gets rejected immediatley after then finding out he already is in a long time relationship with her child hood friend’s sister. Ninako tangles in the vines of unrequited hopelessly letting herself stay in love with Ren, she has no idea of how to deal with it? and is quiet Ren not saying much for certain reasons. What pulled me into this manga was the name of it sounded like you were about to go right over the edge and be done with everything. Strobe Edge went to the edge a lot during the course of the manga mainly do with our female protagonist Ninako, honestly her character made me want to rip my hair out. Putting herself through this unrequited love she had for Ren and along come the hurdles of taking such a root, must say this manga surprised me with the plot. Another clear winner to drag me into this manga as the heart throb of the story Ren was already in a relationship, seems cliche but I loved the development throughout the whole read towards the gripping conclusion. Ninako I loved her character, the art style really made her facial expressions fit any scenario, she has a really cute smile. More of the reason I came to like her character was not wanting to give up this unrequited love, reminded me of the all the stupid lengths we can all go to if we are rejected or our love is unrequited. Ninako had no clue about love how to handle it, whether she knew she was even in love that trait in her character made this manga way more interesting. In ways she reminded me of Sawako from the anime From Me To You where she hadn’t really lived a so called life, Ninako learning the battle field of love a added bonus to the plot. Was very fond of the art style beautiful and clear facial expressions which I love in a Shoujo manga when it comes to important scenes. It makes it believable which I could feel from Strobe Edge for example of how Ninako’s feeling towards Ren and having the confusion of someone else confess to her. Quite believable from all the characters surprisingly even bland Ren, must say the art style made Ren look really good and quite a pretty specimen. Ninako wasn’t the only clueless one Ren our bland boring protagonist, yes he did nothing much to entertain me. Personality-less this dude like most protagonist can be in shoujo manga but the process of him finally realizing his real feelings instead of denying them finally made me begin to like his character a little. Still in the end not till the last few chapters these protagonists realize all the truth and this manga was no acceptation to this rule. During most of the read I cared not for any of other characters and other situations going on, accept another confession for Ninako, I was purely fixated on Ren and Ninako, there the only reason I enjoyed this manga. The long grinding process to get to the conclusion but I was in it for the ride, though Ninako made it all worth it. Ninako’s unrequited love for Ren reminded for me personally of a couple of times of me feeling like this which is probably another reason I continued to read this series, let me say the ending was worth waiting for, I hadn’t been touched by an manga ending like that for a while now. Special because of Ninako’s enlightening, painful efforts she put herself through in this unrequited love. Recently upon finishing this manga I found out there is a live action for this manga and my god I am going to check this out see if they stuck to some traits in the manga. Can’t deny this manga did pull on my emotions a little mainly because of Ninako’s she was the star in this series, though purely I read it for Ren and Ninako’s progress only it was a good read. Different shoujo start where the male protagonist is already in a relationship and a girl with a unrequited love, hurdles she puts herself because she is clueless. Overall it was a good read, slight alter in your typical shoujo plot and cute two main characters, Worth the read from Ninako’s unrequited love perspective. I’ll see you all in the next review !! I know a lot of people were clamoring about this series before Viz Media picked it up. I wonder if sales weren’t that good considering Blue Spring Ride hasn’t been licensed yet… I would have thought they would have snapped it up right after Strobe Edge. Anyways, I thought it was okay, but nothing like how many people were proclaiming it was soooo good. I did like Blue Spring Ride though. 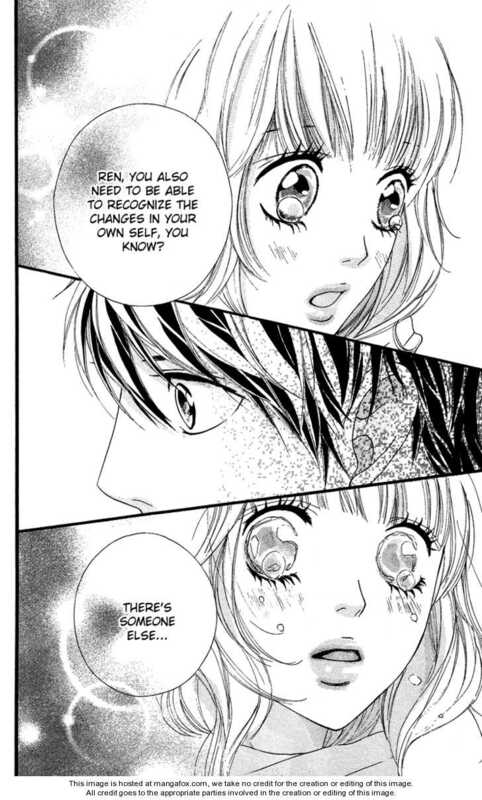 I actually liked Strobe Edge a lot because of all that sensitivity between Ninako’s struggles with her unrequited love. Ren certainly wasn’t very expressive through actions but because perhaps it was primarily from Ninako’s POV which is why there isn’t that flair you’d normally find in other shoujo male leads. They wouldn’t have been together if Ren’s girlfriend didn’t dump him voluntarily.